How can you support the club? Looking for your next vehicle and want to help the French Bulldog Club of Qld? 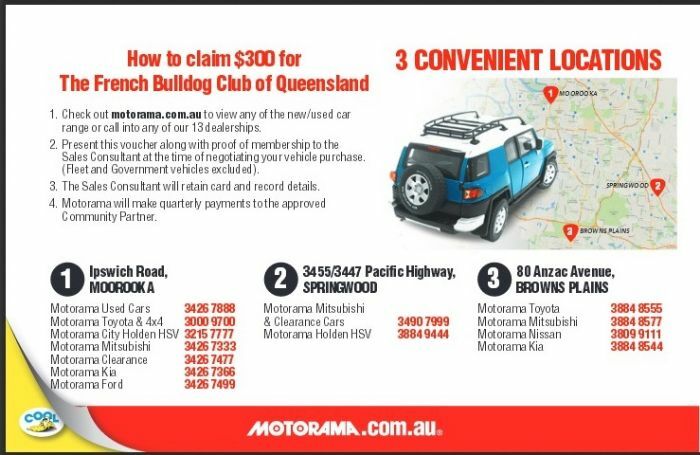 By purchasing your next vehicle through a Motorama dealership, using the official Community Partnership Voucher, you can earn the French Bulldog Club of QLD $300 on completion of your sale. Visit Motorama at Browns Plains for all your motoring needs.